Shipments of virtual reality hardware will begin to "skyrocket" this year and keep climbing through 2020, market analyst IDC said. 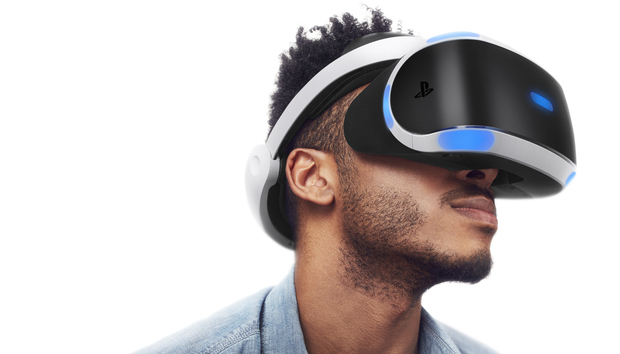 An estimated 9.6 million VR devices will ship in 2016, IDC predicts. That's up from about 350,000 units, mostly developer kits, shipped in 2015. It's not a shock that VR systems will see huge growth this year, after several VR devices, including the Oculus Rift, the HTC Vive, and the Microsoft HoloLens Development Edition VR headset, all debuted in recent weeks. But those shipments will continue to balloon through 2020, when IDC expects 64.8 million units to be sold. That's a compound annual growth rate of 183.8 percent, or almost a tripling each year. Meanwhile, shipments of augmented reality (AR) hardware will grow from 400,000 in 2016 to 45.6 million in 2020, IDC predicted. AR devices are more difficult to produce than VR, meaning they will be slower to come to market, IDC said. Earlier this year, Gartner predicted 1.4 million VR and AR headsets will ship in 2016. -- Screenless viewers using the screens of smartphones to create a VR or AR experience, an example being the Samsung Gear VR. -- Tethered head mounted displays (HMDs) that use another device such as a PC, game console, or a smartphone to drive a head-worn display. An example is the Oculus Rift. -- And standalone HMDs that integrate processing within the head-worn display itself, including the Microsoft HoloLens. More than 2 million tethered HMDs will ship in 2016, IDC predicted. In total, VR and AR hardware sales will generate about $2.3 billion in revenue during the year, IDC said. The first major tethered VR headsets released this year, combined with "robust shipments" of screenless viewers launching later this year, should lead to a "reasonable installed base for content creators to target," Tom Mainelli, IDC's vice president for devices and displays, said in a statement. The "vast majority of sales" this year, representing about two-thirds of VR/AR shipments, will be screenless viewers, Lewis Ward, IDC's gaming research director, added via email. Video games will be the leading reason for buyers to pick up VR headsets, IDC said. IDC's sales forecasts do not include Google Cardboard-based VR products or other viewers that lack electronics.